This two bedroom one and a half bath 3 level home is 3,200 square feet on 1,257 square meters of property. There is a 4 car parking area with additional parking on the street in front of the house. This is the combined living room, dining room and kitchen. The glass doors open to allow the fresh air to freely circulate through out the house and provide a beautiful view. 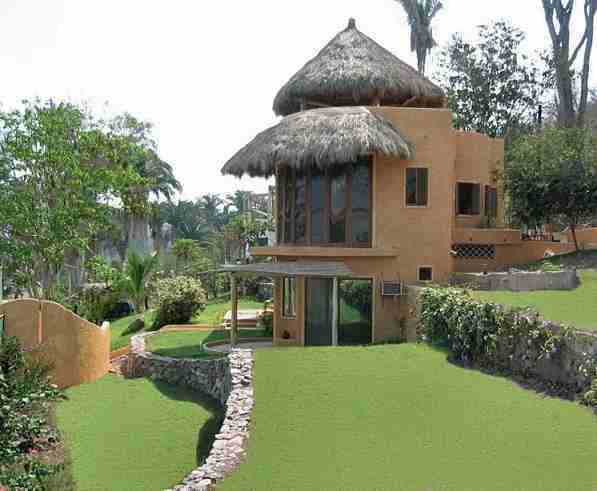 In the center of the photo are stairs that lead to both the roof top palapa and to the downstairs bedrooms. The final details like a beautiful wood railing along the stairways are in the process of being completed. The sale will include all furnishings and appliances.